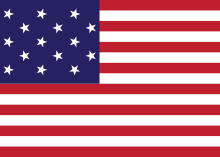 Edmund Pendleton Gaines (March 20, 1777 – June 6, 1849) was a United States army officer who served with distinction during the War of 1812, the Seminole Wars, and the Black Hawk War. Edmund Pendleton Gaines was born in Culpeper County, Virginia on March 20, 1777 as the seventh of fourteen children to parents James and Elizabeth Strother Gaines. He was named after his great-uncle Edmund Pendleton, who was a political leader of Virginia during the Revolution. James Gaines had been captain of a company in the American forces during the Revolutionary War; and after the war his family moved to North Carolina, where his father became a state representative. Gaines also lived in Tennessee in his youth in the area now known as Kingsport and later enlisted in the army in 1799 and was a first lieutenant by 1807. In the early 19th century, Gaines surveyed routes and boundaries in the Mississippi Territory including parts of the Natchez Trace. In 1800, Lt. Gaines commanded ten companies of the 2d U.S. Infantry in the construction of the Congressionally designated post road from Nashville to Natchez. His experience led him to become a strong advocate of using the military to construct a national railroad system. In 1807, Gaines was the commandant of Fort Stoddert. During this time, he arrested former Vice President Aaron Burr at Wakefield, Alabama, and testified at his trial. Gaines also surveyed the route that would become the portion of the Gaines Trace from the Tennessee River to Cotton Gin Port, Mississippi. He afterwards took a leave of absence from the army to practice law. 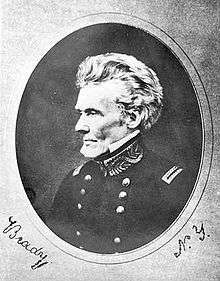 The War of 1812 brought Gaines back to the army and was appointed major of the Eighth U.S. Infantry and in July, 1812, was made a lieutenant colonel in the Twenty-Fourth U.S. Infantry. In 1813, he was promoted to colonel and commanded the Twenty-Fifth Infantry with distinction at the Battle of Crysler's Farm. He became adjutant general and was with General William Henry Harrison's army at the Battle of the Thames. He was promoted brigadier general of regulars on March 9, 1814 and commanded the post at Fort Erie after the U.S. capture. General Jacob Brown was wounded at the Battle of Lundy's Lane and when the U.S. Army of the Niagara returned to the fort, command was passed to Gaines. At the Siege of Fort Erie Gaines was in command on the fortifications on 15 August 1814, when a British assault was bloodily repulsed. For this victory – the First Battle of Fort Erie – Gaines was awarded the Thanks of Congress, an Act of Congress Gold Medal (outranking a Congressional Medal of Honor, according to the Smithsonian), and a brevet promotion to major general. General Gaines was seriously wounded by artillery fire and General Brown, having recovered, returned to command. Gaines' wound ended his active field career for the rest of the war, and he was given command of the Military District Number 6. At the end of the War of 1812, Gaines was sent as commissioner to deal with the Creek Indians. 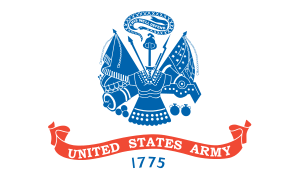 When the U.S. Army's commanding general, Major General Jacob Brown, died in 1828, Gaines was one of two ranking generals who could have been considered for the post. 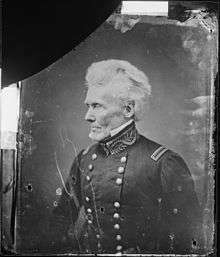 However, since he and General Winfield Scott had both publicly quarreled with each other over seniority, an annoyed President John Quincy Adams appointed General Alexander Macomb to the position. Gaines commanded the Western Military Department during the Black Hawk War. He was still in command of the department during the Second Seminole War in which he personally led an expedition. At the Battle of Ouithlacoochie in 1835, he was wounded in the mouth. In 1830, Gaines opposed President Andrew Jackson's policy of Indian removal. On February 20, 1836, Gaines and his men were the first U.S. soldiers to revisit the scene of the Dade Massacre in Florida, the incident which started the Seminole Wars, where they identified and interred the bodies. In 1836, he was placed in command of the Southwest Military District. He was given instructions to fortify the border of the Louisiana Territory and Texas in the case that the Mexican army might threaten U.S. territory. He was also given orders to post guards preventing any U.S. soldiers from crossing into Texas and fighting in the rebellion. He was in command of the Army's Western Division at the outbreak of the Mexican-American War. He was reprimanded by the U.S. government for overstepping his authority by calling up Louisiana volunteers for Zachary Taylor's army. He nevertheless called up volunteers from other southwestern states and received a court-martial but was able to successfully defend himself. In the years during and following the Mexican-American War, Gaines was in command of a series of military districts. He was in command of the Western Division when he died at New Orleans, Louisiana on June 6, 1849. He was interred in the Church Street Graveyard in Mobile, Alabama. He was a Freemason, having been raised in Phoenix Lodge, No. 8, A. F. & A. M, in Fayetteville, North Carolina. A number of places in the United States were named in his honor, including Gainesvilles in Florida, Texas, Georgia, and New York; Gaines Township in Michigan; and Gainesboro in Tennessee. He was also the namesake of Gaines Streets in Tallahassee, Florida, and Davenport, Iowa; and Fort Gaines, a historic fort on Dauphin Island, Alabama. Gaines was married 3 times. His first marriage was to the daughter of Harry Toulmin, Frances Toulmin (1788–1811), who died giving birth to their only child. His second marriage was to Barbara Blount (1792–1836), daughter of Tennessee statesman William Blount. His last marriage was to Myra Clark (1806–1885), daughter of Louisiana politician Daniel Clark. Wikimedia Commons has media related to Edmund P. Gaines. ↑ "Edmund Pendleton Gaines". Encyclopedia of Alabama. Retrieved November 8, 2016. ↑ Angevine, Robert (2004). The Railroad and the State: War, Politics, and Technology in Nineteenth-Century America. California: Stanford University Press. p. 5. ISBN 0-8047-4239-1. ↑ Meacham, Jon (2008). American Lion. New York: Random House. p. 148. ISBN 978-1-4000-6325-3. ↑ John Hill Wheeler, Reminiscences and Memoris of North Carolina and Eminent North Carolinians (1885), p. lx. GAINES, EDMUND PENDLETON entry of the Handbook of Texas Online. Texas State Historical Association.